Our love is a star, sure some hazardry for the light before and after, most indefinitely. Bon Iver, an intentional misspelling of the French phrase "bon hiver" ("good winter"), is an indie folk band from Eau Claire, Wisconsin. Originating as a solo project in 2006, Bon Iver is the product of Justin Vernon's (vocals, guitar) three-month winter hibernation in a cabin in rural Wisconsin after his previous group DeYarmond Edison broke up. Writing a significant amount of material in isolation, Vernon later recruited Michael Noyce (guitar, vocals), Sean Carey (drums, piano, vocals) and Matthew McCaughan (bass, drums, vocals). Sonically diverse, Bon Iver's emotional falsetto vocals hearken back to '70s soul and funk singers, while slow and steady tempos float along relaxed compositions. Moody orchestral additions are featured in their songs, however, folk-style acoustic guitars dominate above a backdrop of ambient hums. Bon Iver's debut LP For Emma, Forever was released in 2008 on Jagjaguwar Records and charted at #16 on the US Indie chart. Along with reaching gold status in Australia, Denmark and the UK; MOJO Magazine gave it a five star rating and deemed it an "instant classic." Success from the album sparked cross-over collaborations with Kanye West, Jay-Z, Rick Ross and Nicki Minaj. When Jagjaguwar released the eponymous Bon Iver LP in 2011, it soared to a #1 position in the US Indie chart and #4 in the UK national chart. Bon Iver's story has already entered popular music legend: unknown guy records heart breaking, stripped down folk album alone in a remote cabin, rejoins society, universal acclaim. So how do you follow that up? Go back to the cabin and do it again? Find a remoter cabin? 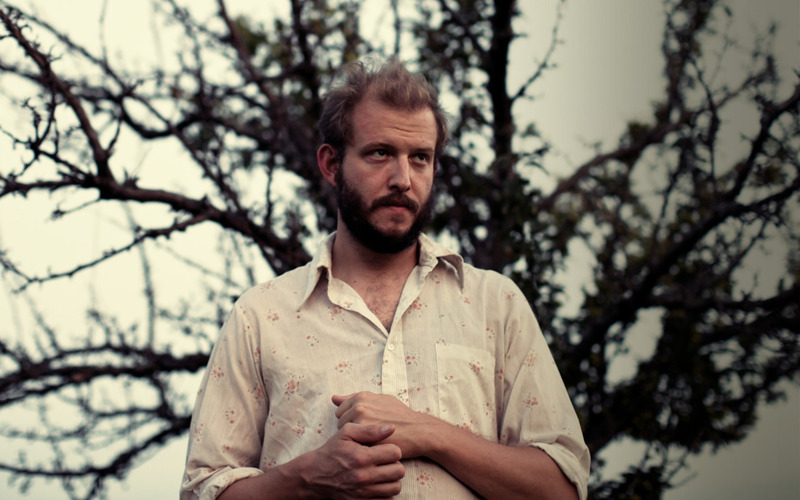 With the eyes of the world on him this time, Justin Vernon does the only thing he can do - he ups the ante. On Bon Iver's sophomore album, Vernon takes the introspective folk skeleton perfected on For Emma, Forever Ago, and fleshes it out, adding a host of instruments and orders of magnitude of ambition, yet keeping the intimate feel of the debut. Vernon has the rare gift of ensuring that his earnestly strained falsetto and delicately strummed tunes don't stray into sappy, overdramatic territory. That gift combined with his tasteful choices of instrumentation makes for a stunningly well-realized follow. Bon Iver is excellent from start to finish, and Vernon has managed some truly great moments. “Towers” begins with strummed, ringing guitar, kind of like the Velvet Underground's softer moments. Vernon layers his double tracked vocals over it, filling in the open spaces with warm splashes of saxophone, finally exploding midway through the song with a compassionate chorus of horns, strings and electric guitar that rise with emotional intensity. “Michicant” is a quietly beautiful standout. Like many songs on the album, it begins with sparse guitar and Vernon's tender croon. He slowly builds orchestration around it: saxophones lurking in the bottom of the mix, keyboards shimmering above while horns and violins fill in the space between. Like Bjork or Sufjan Stevens it's orchestral pop of the best kind, the instrumentation is icing on the cake, never a diversion. This an album that has a wealth of great songs, but no obvious traditional hits, which is pretty amazing considering Bon Iver's success. There's plenty of lighter waving moments, but no stadium conquering, bombastic anthems. The closest thing is probably “Calgary,” another tender beauty, but this time it grows with atmospheric synthesizers, booming tribal drums and squealing electric guitars. Bon Iver’s Vernon isn't a perfect album, the orchestration can occasionally turn to cheese, but overall it's a remarkable achievement--moving, unique and sure to secure Vernon's place in rock and roll history.